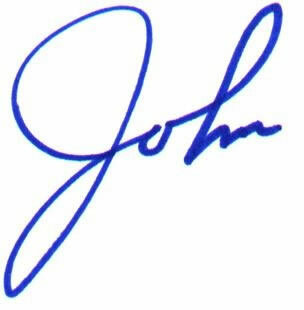 Truth Surfer: A Special Letter from John Kline: This Holiday Season Save The Wealthy! Let’s take Mr. Kline at his words - "the Washington culture of taxing, borrowing and spending is doing nothing to stem the tide of lost jobs and economic uncertainty" - and as such, he should oppose President Obama’s tax plan. As Representative Betty McCollum (A TRUE Minnesotan) said she's opposed to the deal because it extends the tax cuts for the top income earners and would increase the deficit by $900 billion. "This is a deal that will continue to explode the deficit while the rich get richer and struggling middle class families get crumbs. The Republicans successfully held unemployed Americans hostage to give even more tax cuts to millionaires and billionaires. This plan is irresponsible, and I will oppose it." But worst yet, it only moves the “economic uncertainty” out for two years. Mr. Kline surely knows that no business will hire if they will be faced with higher taxes starting in January 2013 … they did not hire during the Bush years when they knew taxes would rise in 2011, so two years won’t change anything. OK, seriously. This proposal is BAD. Please contact Mr. Kline’s office and tell him that he needs to vote against this. It expands the deficit which he surely understands … and should be a sound basis for his voting against it. But he may vote for it not only because it provides tax cuts for the rich and minimizes the estate tax, it actually makes life worst for working people. It takes away one tax cut and replaces it with another that will lead to the unfunding of Social Security. The Making Work Pay tax credit is gone permanently… instead workers will -for a one year- have a 2% reduction in contributing to the Social Security Trust Fund … which means that less money goes into the reserve … bringing forward the date that it will be out of balance … plus making the argument for Republicans that entitlements is what is driving the debt which allows them to totally ignore how much they have invested in funding military defense contractors. Just curious … do you have any idea how many Second District citizens would be impacted by raising the tax rate from 35% to 38.6% on those making over $250K ? In 2009, only 1,198,412 Americans earned more than $250K, but how many of those are in Mr. Kline’s district ? According to Steve Quist, a 2010 candidate for MN State Senate 36 which is in Mr. Kline’s district, half of the families in Minnesota (not individuals, families!) make under $57,000 per year. A good section of Mr. Kline’s district is rural … and the average family farm household income is expected to be up by 7.8 percent in 2010, to $83,194 … which is still below $250k. When I think of where the wealthy live in Minnesota, its Wayzata, Minnetonka, Edina, Eden Prairie, Minneapolis and St. Paul ... which I believe are not in Mr. Kline's district. I suspect the wealthiest in Mr. Kline's district would be Prior Lake. So WHO is Mr. Kline helping ?